The greatest day in October isn’t Halloween. It’s something that already happened. 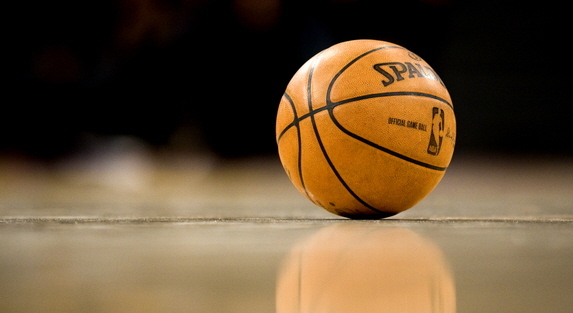 Yesterday, October 28th, marked the beginning of the regular season of the NBA. Defending NBA champs, the San Antonio Spurs, defeated the Dallas Mavericks with a close 101-100 victory at home. It was an exciting game and it’s always great to see another season kick off with the ring ceremony as is tradition. But what I’m really interested to see this season is how things will play out for the Miami Heat with the loss of LeBron James, and of course for the Cleveland Cavaliers, with the return of their hometown star. LeBron is a bit of a polarizing figure- people tend to either think highly of him, or not. 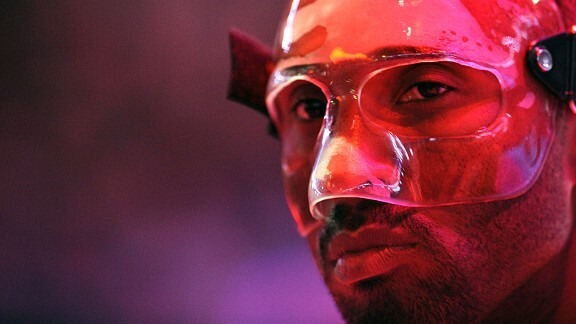 At this point in his career I think he has proven that he is one of the greatest players in the history of the NBA. The Cavs’ season officially kicks off with a home game against the New York Knicks tomorrow night. Kevin Love was taken out of practice yesterday, will he be back in the game? The report says he was removed as a precaution, so I imagine he’ll return by tomorrow. The even bigger question is, how will this new Cleveland lineup perform? They’re off to a good start with a strong pre-season, but the regular season games will only bring more pressure to this team as they figure out how to balance each other. As for Miami, their season kicks off tonight at 7:30 EST in a match against the Washington Wizards. Dwayne Wade and Chris Bosh will pick up the pieces of what is left of the ‘Big Three’ without LeBron. Stay tuned. Steve Blake’s missed shot against the Thunder on Wednesday night went further than just a missed shot as it not only became a top trend on twitter but also urged web users to alter Blake’s Wikipedia page. 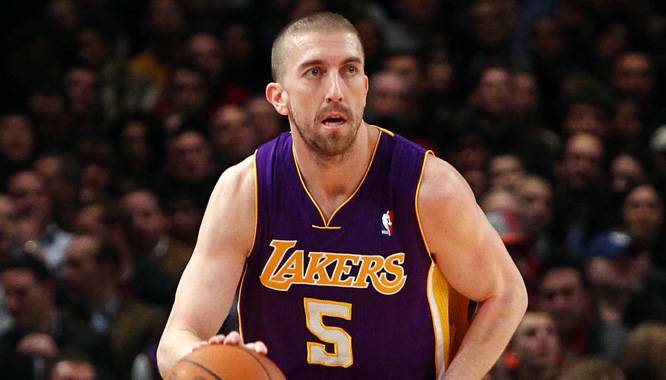 Following the late fourth quarter collapse Wednesday night against the Oklahoma City Thunder which ended after Los Angeles Lakers guard, Steve Blake failed to hit a wide open three pointer in the remaining seconds of game two of the Western Conference Semi-Finals. Blake not only began to trend on twitter, but his Wikipedia page began to get a new look as well. Picture of Blake’s altered Wikipedia page. 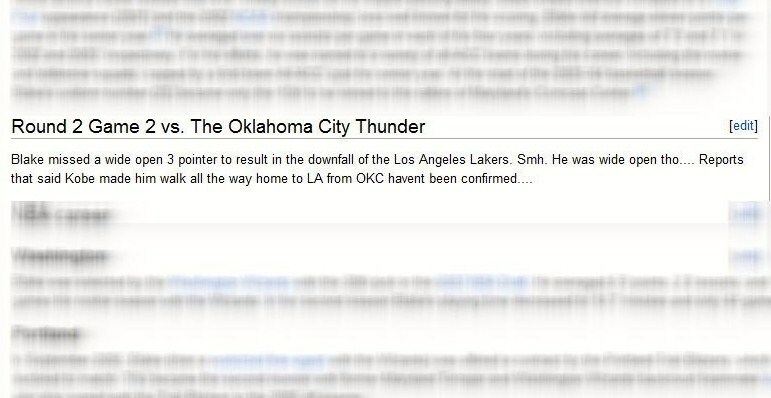 Second picture of Blake’s altered Wikipedia page. As for Wikipedia they are doing a good job of cleaning up the additions added by users as Wikipedia is known for that feature which they allow all web users to edit and add additional information to their pages. As for Blake he has yet to comment on his updated Wikipedia page and most likely won’t. The Lakers will try get their first win of the series again on Friday night when they’ll face the Thunder at home at Staples Center. Tip off time will be at 10:30 Eastern Time. Did The Los Angeles Lakers Trade Forward Lamar Odom To The Dallas Mavericks As A Way Of Payback To Attempt To Ruin The Mavericks Season? 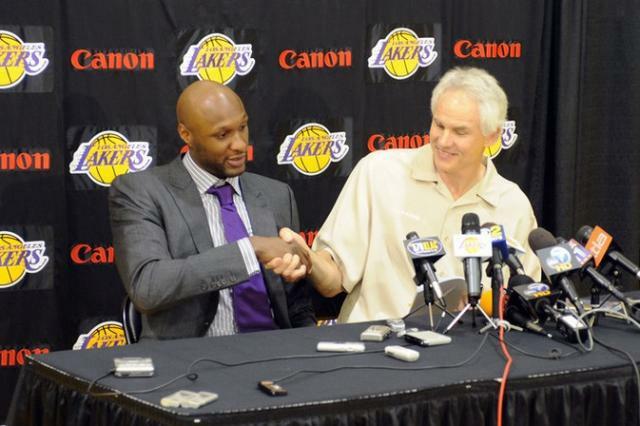 Did General Manager, Mitch Kupchak and Lamar Odom plan this? Last year when the Dallas Mavericks swept the Los Angeles Lakers, 4-0 in the Western Conference Semi-Finals, as they defeated the Lakers at home 122-86, the Lakers didn’t go away quietly. Two “cheap” shot fouls by Lakers Forward, Lamar Odom who went after Mavericks’ star Forward, Dirk Nowitzki and the other by Lakers Center, Andrew Bynum who delivered an elbow to Mavericks Guard, J.J. Barea. The Mavericks would go onto defeat the Oklahoma City Thunder and then the Miami Heat in the NBA Finals, crowning themselves as the 2010-11 NBA Champions. However, their meeting with Odom, one of the two Lakers’ players involved in the “Bush League” acts would become a lot closer; like every day closer. His reasoning for feeling “disrespected” by the Lakers organization was due to being traded. As a result to the trade that was eventually vetoed, Odom said that he couldn’t return to Los Angeles to play and as a result wanted to be traded. So, the Lakers honored his wish and on December 11th they traded him to the Dallas Mavericks in exchange for a first round draft pick and an $8.9 million trade exception. When the trade became public, many were shocked that the Lakers, as well as the Mavericks made this deal. Bringing in a player (Odom) who shouldered your superstar (Nowitzki) intentionally? That seems to be a bit bizarre to add a player like that to your team. However, the Mavericks did it and they sure did pay the price. Odom who played in all 82 games for the Lakers the season before and who averaged 14.4 ppg, 8.6 rpg, and 3.0 apg. as well as the NBA’s sixth man of the year, transitioned to Dallas as a player who didn’t deserve to even have a roster spot. And the worst part about the move too, was that you could just tell that Odom didn’t want to be there. He drew the final straw, sources said during Saturday’s game against the Memphis Grizzlies where after only playing four minutes in the first half, owner; Mark Cuban went into the locker room at FedExFourm Arena where he confronted Odom asking him pretty much, are you in or are you out? Sources said that Odom then responded very angrily and as a result it showed as in the second half Odom remained on the bench as the Mavericks would go onto lose 89-94. So, as a result to his poor play (6.6 ppg, 4.1 rpg, and 1.7 apg.) 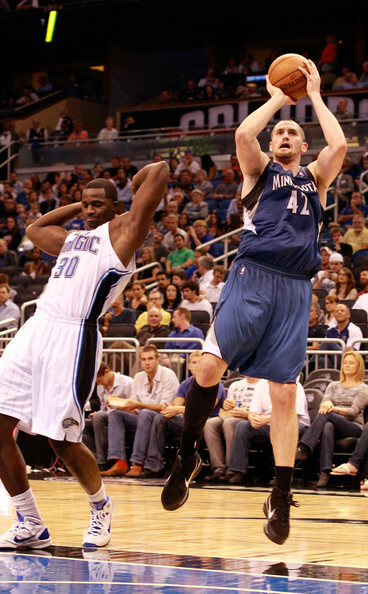 and lack of interest, Odom as of Monday was placed on the inactive list by the Mavericks ending his 2011-12 NBA season. Now seeing this whole thing unravel from the end of that game four game, in Dallas back in May of last year, all the way up until now, was this Odom trade to Dallas a set-up? Was it a way of “pay-back” by the Lakers? Staples Center is only right down the road from Hollywood. So is it really possible that General Manager, Mitch Kupchak and Lamar Odom, truly discussed this on that Friday, December 9th, two days before the trade that sent Odom to Dallas? Did they honestly talk about ruining the Mavericks season, a team at the time who brought in new players and looked almost un-stoppable as they for sure looked like they were going to repeat? No one knows as what went on in that meeting on that Friday, December day. As it remains private and most likely will remain private for the rest of their lives. However, is it a possibility that they discussed that? Yes. Who will leave first? 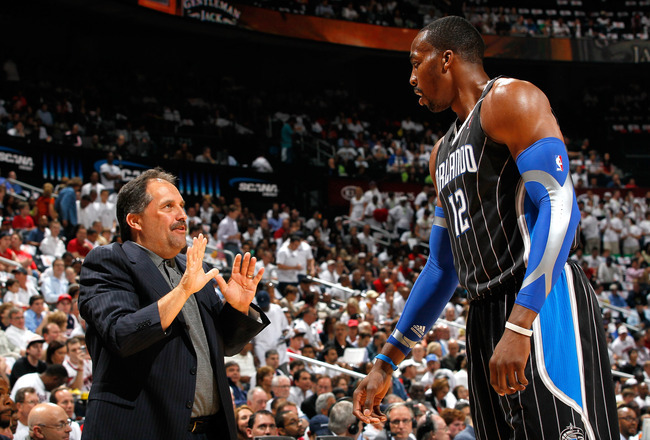 Or will both Howard and Van Gundy remain in Orlando together? After last weeks, he said, he said fiasco when Orlando Magic head coach, Stan Van Gundy said that Center, Dwight Howard asked the Magic front office for him (Van Gundy) to be fired. However, senior vice President, Pat Williams said Monday that he would like to see both Howard and Van Gundy to surpass this problem and remain with the Orlando Magic franchise for a very longtime. As for how they could cure the problem? Williams said that they could simply do it by winning. The Magic would capitalize on a 88-82 win on Saturday night in Philadelphia as they would defeat the Detroit Pistons at home Monday winning, 119-89 without Dwight Howard. As for the reason why Howard didn’t play against the Pistons Monday night was not due to the off the court incident with Van Gundy and himself as it was due to back spasms, a problem that has caused Howard to miss time before. As for the Magic, they’re currently in third in the South East division and are seven games back from the first place Miami Heat who are 40-15 on the season. As for how the Magic stand in the Eastern Conference as a whole, they’re sixth and nine games back out of first, which is owned by the Chicago Bulls, who are 43-14. Williams added that Van Gundy admitted that he can be too negative sometimes. Though, he doesn’t put all the blame on Van Gundy as he said that while Howard has “grown up a lot” that there’s still room for him to mature. The Magic travel to Washington on Tuesday, where they will face the depleted 13-44, Washington Wizards. You see advertisements on jerseys in other sports but in the NBA? You’ve seen them before on television, in commercials, on billboards, signs, street corners, and just about any place that life may take you, and that’s advertisements. They truly are everywhere, but what about in sports? Well they’re in sports too as you see advertisements featured on scoreboards, on the field or the court, on the seats that the fans sit in, and even on t-shirts. But what if they took the placing of advertisements to a whole other level? A level such as, on the player’s jerseys? As crazy as it seems, sporting leagues, such as the European leagues for basketball, the MLS, and the WNBA have already begun this advertisement transition and it doesn’t end with them as the NBA, who has been looking for more revenue has begun considering this option. Now even if Cuban were to get the money that he wanted from advertisers to place advertisements on jerseys, he wouldn’t be able to do so. Not until, he received the approval from NBA commissioner, David Stern. Now if the NBA were to go through with the new advertisement scheme, according to a study performed by Horizon Media, estimates that companies would generate more than $31 billion worth from putting their company’s logo on an NBA jersey. Now to most, this may seem like a terrible, greedy, unnecessary type deal. But, if the NBA were to do this, they could change the game of basketball in a very positive way. Just imagine seeing Nabisco advertise their famous Oreo cookie or McDonalds advertising their famous golden arches on an NBA jersey? It would be great and quite frankly, not only would it create positive revenue for both the NBA and the companies advertising but, in my opinion I think it would grab more viewers. I mean you’re telling me, that if tomorrow night the NBA allowed this to go through and for the Dallas Mavericks, Miami Heat game on TNT tomorrow night at 8 p.m. Eastern Time, they allowed both teams to have an advertisement on their jersey, that you wouldn’t tune in? Of course you would. Who wouldn’t want to see Dirk Nowitzki or LeBron James wearing a Burger King or a Coca Cola logo above their number? Now, I’m not saying do it every night as like the old saying goes, too much of something isn’t good enough. But if the NBA allowed this every so often, it could really change the game in a positive way. Gilbert Arenas is headed to Memphis. After being out of the NBA for the first time since being drafted by the Golden State Warriors in 2001, guard, Gilbert Arenas who has been searching for an NBA team this entire 2011-12 NBA season has found one, the Memphis Grizzlies. 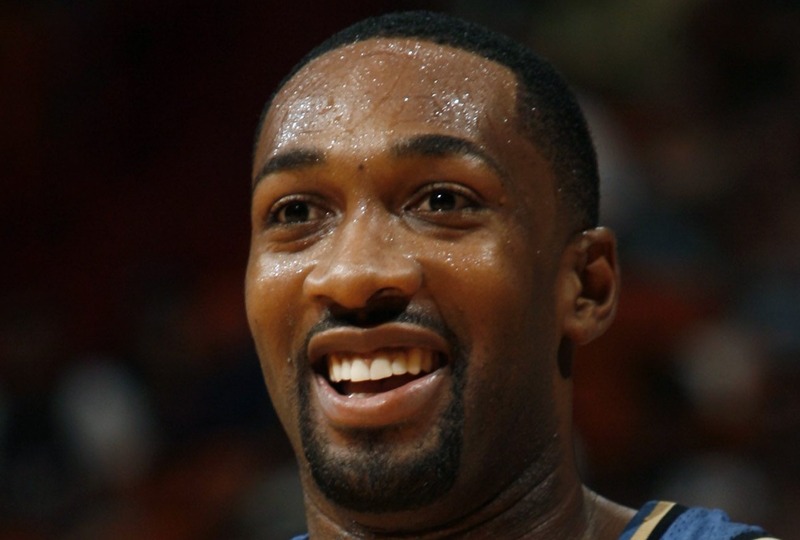 The Memphis Grizzlies General Manager and Vice President of Basketball Operations Chris Wallace announced Tuesday (today) that Gilbert Arenas was officially the newest member of the Memphis Grizzlies. Arenas played with three teams before joining the Grizzlies, the Golden State Warriors (2001-2003), the Washington Wizards (2003-2010), and the Orlando Magic (2010-2011) before waived on December 9, 2011. Arenas who was voted most improved player in 2003, has been to three all-star games, including a career average of 21.2 points per game, 5.4 assists a game, 4.0 rebounds a game, and 1.6 steals a game. The Memphis Grizzlies are coming off of a 97-92 win over the Washington Wizards and are currently second in the southwest with a record of 25-18, behind the first place, San Antonio Spurs who have a record of 29-14. Overall in the Western Conference the Memphis Grizzlies are in fifth behind the Oklahoma City Thunder (34-11), the San Antonio Spurs (29-14), the Los Angeles Lakers (28-17), and the Los Angeles Clippers (26-18). There has been no official word yet on what position Arenas will play, rather it will be point guard or shooting guard. However, it is clear that Arenas will most likely; barring any injuries from starters Mike Conley and Tony Allen will most likely come off the bench. Arenas or any other player of the Grizzlies team has yet to publicly comment on the Arenas’ signing. As for the Grizzlies they will start their four game road trip in Sacramento tonight where they will take on the 16-29 Kings. As for when Arenas is expected to suit up, that has yet to have been announced and with the Grizzlies starting their four game road trip in Sacramento tonight and traveling to Portland on Thursday, then to Los Angeles to face the Lakers and Clippers over the weekend, it would seem almost likely that Arenas would certainly join the team by then in Los Angeles at the latest. 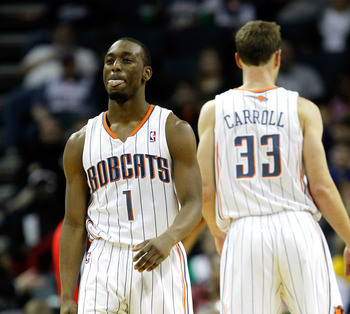 How Far Would The NBA’s Charlotte Bobcats Go If They Were In The NCAA Tournament? The Charlotte Bobcats the joke of the NBA 2011-12 season, but would they crush the hopes of the cinderellas' and win a National Championship? There are always a lot of jokes that are made when you’re the last in anything, especially when you’re the last place team in the NBA like the Charlotte Bobcats are. At 4-31 and not only last in the South Central division but dead last in the NBA, the Charlotte Bobcats are “joke” of the NBA. Ranked dead last in points per game as a team with 86.7 points a game; the Bobcats have only topped 100 points just twice this season. It doesn’t stop there as not only can the Bobcats not put points up on the scoreboard but, they can’t keep their opponents from putting points up on the scoreboard either, as they are ranked third in the NBA for most points allowed. Trailing the Sacramento Kings (102.3) and the Washington Wizards (101.3) the Bobcats have allowed their opponents on average 101.2 points per game. Which with the calendar now turning to March and the NCAA Tournament becoming closer brings us to the question, how far would the Charlotte Bobcats go? Would they win the NCAA Championship? Would they be a number one seed? If not a number one seed what seed would they be? Now as we all know these questions would never be answered as an NBA team would never be allowed to play in the NCAA Tournament, though it would be very cool as the bottom teams of the NBA really have nothing to play for. Though theoretically speaking, let’s just take the time to pretend. Okay so let’s start with what seed the Bobcats would be and so basing it off of ESPN’s project bracket provided by Joe Lunardi the number one seeds that he projected to be as of now are the Kentucky Wildcats (30-1), Syracuse Orange (30-1), North Carolina (27-4), and the Kansas Jayhawks (26-5). So let’s start off with what seed would the Bobcats be? And the answer to that is for sure a number one seed, however are they the best number one seed of the four or what? Where do they rank? And the answer to that is they would be the third best number one seed in the NCAA Tournament behind Kentucky and Syracuse. Now despite having the National Champion and Big East Champion player from last year in guard Kemba Walker the talent level of the Charlotte Bobcats just doesn’t match up with the talent level of Kentucky and Syracuse and especially it doesn’t match up at the big men level either. With both Kentucky and Syracuse combined according to NBADraft.net they projected that seven players from the two teams (5 from Kentucky and 2 From Syracuse) will be taken in the first round or higher. Of those players projected to be taken they are from Kentucky, Power Forward, Anthony Davis (Projected 1), Small Forward, Michael Kidd-Gilchrist (Projected 9), Shooting Guard, Doron Lamb (Projected 17), Small Forward, Terrence Jones (Projected 18), and lastly Point Guard, Marquis Teague. As for Syracuse the players projected are Center, Fab Melo (Projected 19), and Small Forward, Kris Joseph (Projected 23). 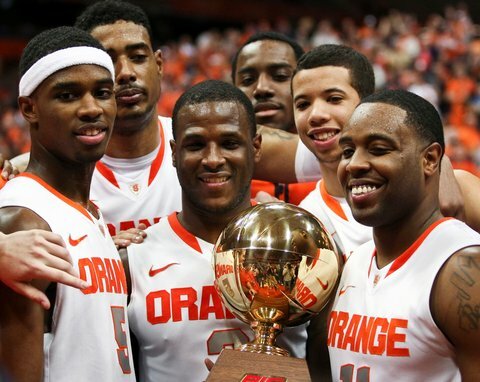 Could the Syracuse Orange knock off an NBA team? Now don’t get me wrong the Bobcats do have some talented players on their team in guard Gerald Henderson (14.6 points per game), Corey Maggette (14.4 points per game), and as mentioned before Kemba Walker (12.9 points per game). But they don’t have a talented big man as their best big guy is Boris Diaw who at 6’8, 235 lbs. isn’t really even a true a “big guy” as he’s been a mix of small forward for some teams in the past as well. Though due to the teams’ lack of talent at that position Diaw despite being a little undersized is the teams’ leading rebounder with 5.6 rebounds a game. So matching Diaw up against someone like Kentucky’s Davis (6’10, 220 lbs. ), Jones (6’9, 252 lbs. ), or even Gilchrist (6’7, 232 lbs.) Diaw would struggle against. As for Syracuse Melo (7’0, 255 lbs. ), Fair (6’8, 212 lbs. ), or Southerland, (6’8, 215 lbs.) would be a struggle as well though Syracuse plays the 2-3 zone so Diaw wouldn’t really see one-on-one match-ups against the Orange. Continuing with that despite putting the Bobcats ahead of North Carolina and Kansas the Bobcats would have trouble with both teams’ big guys as well. As for North Carolina, Tyler Zeller (7’0, 255 lbs.) and John Henson (6’11, 220 lbs.) would create a long day for the weak rebounding Charlotte Bobcats. And as for Kansas Thomas Robinson (6’10, 237 lbs.) and Jeff Withey (7’0, 235 lbs.) would do the same as they would really test the Charlotte big men. Now while draft projections, draft results, height, and weight don’t determine games as there have been several draft “busts” in the past and several “big looking guys” in the past however, these two teams, Kentucky and Syracuse are very talented, at all of the positions, even the bench. So with that being said, the answer as to how far the Bobcats would go is definitely the elite eight, most likely, 90 percent, the final four, and depending on how they played, possibly the National Championship, and depending on how they played in that game, possibly they would be the National Champions. 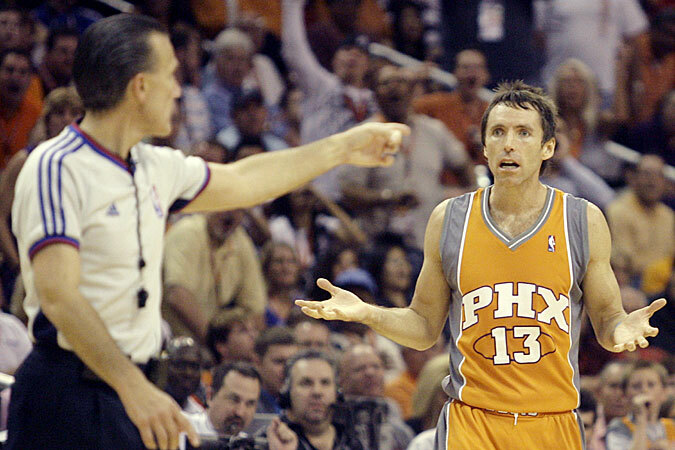 Phoenix Suns guard Steve Nash called for technical foul. With 5:31 left in the first quarter of the Chicago Bulls, San Antonio Spurs game Wednesday night at the AT&T Center in San Antonio, Texas Spurs guard Gary Neal was called for a technical foul for tying his shoe. Yes that’s right, tying his shoe was the reason for the technical foul. Now anyone who’s played basketball before or even any sport know that things like this, for instance tying your shoe during a game can happen no matter what the situation is. For example at the time Toronto Raptors point guard Jarrett Jack sat at half court holding the ball in one hand while tying his shoe as the remaining seconds in the third quarter came to an end. As for the Chicago Bulls defense, the team that Jack was playing against coincidentally just stood there and respected it as they didn’t go for the steal or anything as seen in the video here below. Though regardless if Hamilton missed the free throw because of the basketball gods, the ball not lying, or just simply because he missed it, the fact of the matter is that he should never have had the opportunity to shoot that technical free throw. Reason being is that tying your shoe shouldn’t be a technical foul and it’s not really implied under any of the technical foul infractions. (2) Interfering with the ball after a successful field goal. (3) Failing to immediately pass the ball to the nearest official when a per-sonal foul or violation is assessed. (4) Touching the ball before the throw-in has been released. (6) A team preventing play from commencing at any time. (7) Any player, coach or trainer interfering with a ball which has crossed the boundary line (Rule 8–Section II–f). Though giving the officials the benefit of the doubt lets just say that tying your shoe during a game falls under one of these infractions. Saying that, the technical foul still shouldn’t had been called as the first penalty for breaking one of these infractions is, a warning. “The first offense is a warning. A technical foul shall be assessed with each successive offense and charged to the team. An announcement will be made by the public address announcer. The 24-second clock shall remain the same or reset to 14, whichever is greater, if the violation is assessed against the defensive team. The offensive team shall be awarded a new 8 seconds to advance the ball if it is in the backcourt. If repeated acts become a travesty, the head coach shall be noti-fied that he is being held responsible,” reads the penalty section from NBA.com. So all in all of course we can’t go back and change the call as it’s already been made and the game is over, however what we can do is address the problem now and make sure that in the future it won’t happen again.